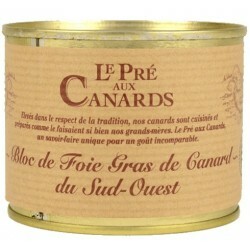 A sublime composition of the smooth texture and flavor of a whole rustic duck liver from the Landes region in France. 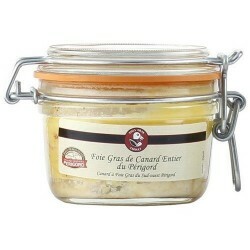 Made by the masters of foie gras production, the French Label rouge brand "Domaine de Castelnau". 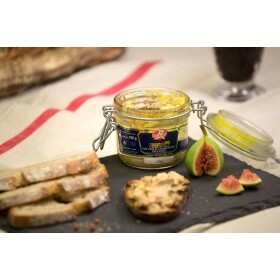 The Chalosse Foie Gras co-operative which produces the Domaine de Castelnau foie gras was formed by a group of producers in the Landes region of France who wanted to work together to produce a high quality foie gras. The co-operative was not interested in achieving higher margins through economies of scale; rather they wanted to work together using traditional methods to offer a traditional foie gras with an authentic flavour. Ingredients: Red Label duck liver, salt and pepper. 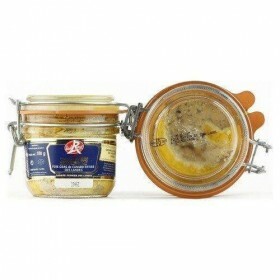 Landes Red Label duck foie gras, seasoned with salt and pepper. 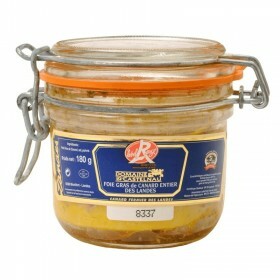 No added preservatives, colour or other additives. The product specification for Red Label foie gras is one of the most exacting (ducks are raised for a minimum of 104 days, food quality is specified, the birds are raised in the open air and in shared pens). 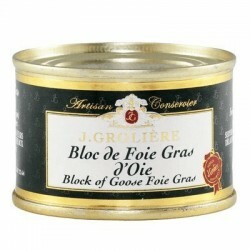 This foie gras is difficult to find since very few producers are prepared to abide by such rigid standards which ensure that these foies gras are of an extremely high quality and have a distinct flavour. 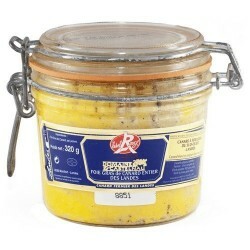 180 grammes is sufficient for a starter for 3 to 4 people. 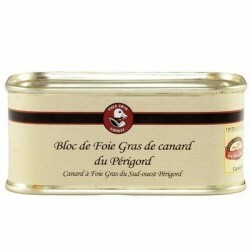 Flavour: the Domaine de Castelnau whole duck foie gras has a strong, rustic, peppery flavour. Serving suggestions: Served on a bed of fresh green salad with some fresh bread or toast, and with a glass of full-bodied red wine, this product is perfect as a starter for an extra-special dinner party.